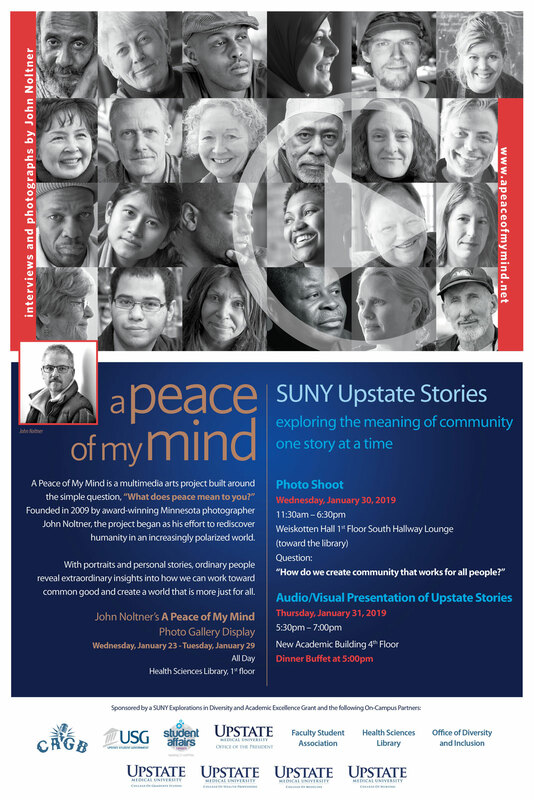 A Peace of My Mind is a multimedia arts project built around the simple question, "What does peace mean to you?" Founded in 2009 by award-winning Minnesota photographer John Noltner, the project began as his effort to rediscover humanity in an increasingly polarized world. John Noltner's "A Peace of My Mind"
Last Modified: January 18, 2019. Contact Devin Kerr with questions about the content of this page.